In retrospect it was quite obvious that I was simply not good enough to warrant that level of cockiness. The reality of the situation is that 8a is something I would like to have climbed, but when it comes to actually climbing it I fall short on a number of grounds – ironically I don’t feel that ability is one of these factors (I know I can climb 8a!!). The first reason behind my historic failure is that red pointing is not my preferred style of climbing. I much (much, much, much…) prefer getting the mileage in, doing lots of more moderate routes in lots of difference places – that’s what inspires me. The idea of trying a single route again and again and again is my idea of hell. What usually happens when I begin to work a route is that I try it over a couple of sessions, then either do it or give up and go trad climbing instead. 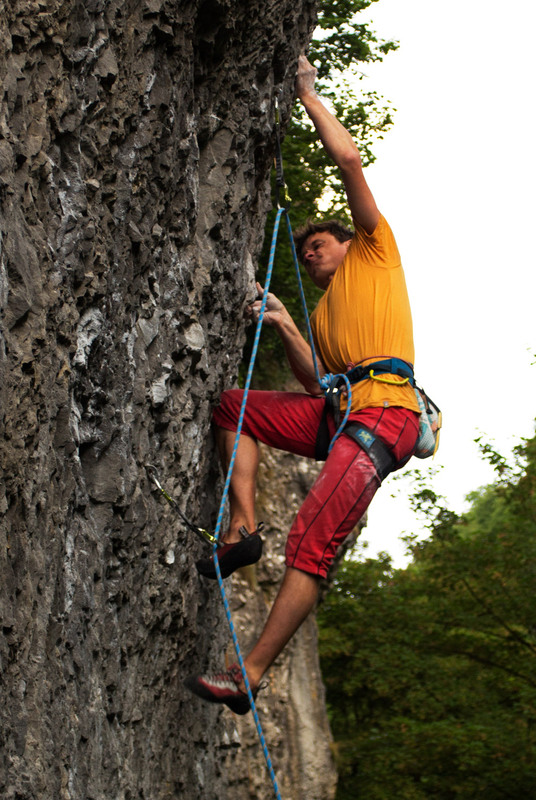 Obviously this approach isn’t going to work if an 8a is to be climbed, because 8a’s are hard. And that’s the next factor – it is not going to be easy. Face facts: you’re going to have to work for it. And that’s it I suppose. 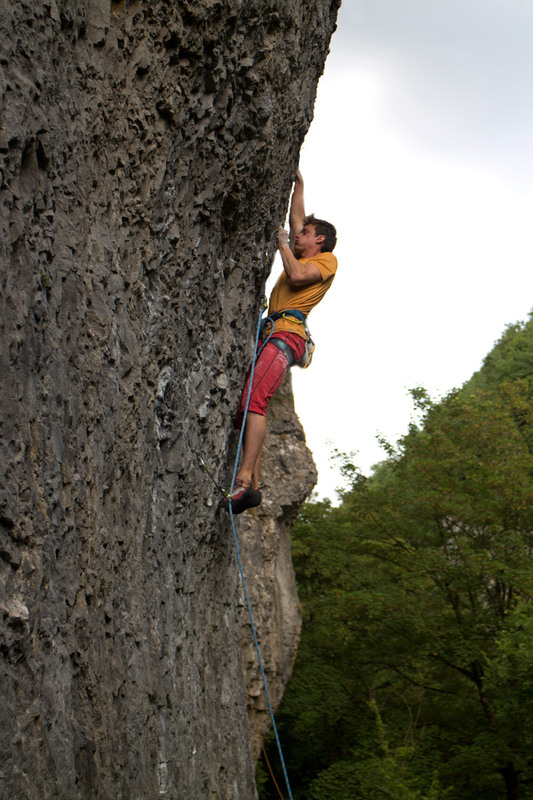 It’s not just about saying ‘I want to climb 8a’ (which does sound good), it’s about actually going out and trying to climb an actual 8a… I am aware that it is just a number, a puerile tick, but we all need our reasons and I suppose mine is that I know I can do it – I’ve just never been willing to put the effort in. And there we have it: put the effort in. Stone the Loach, a classically ‘Greenwood’ project worked over two sessions and climbed on the third. I’m glad that someone out there feels the same way, irrespective of the grade!